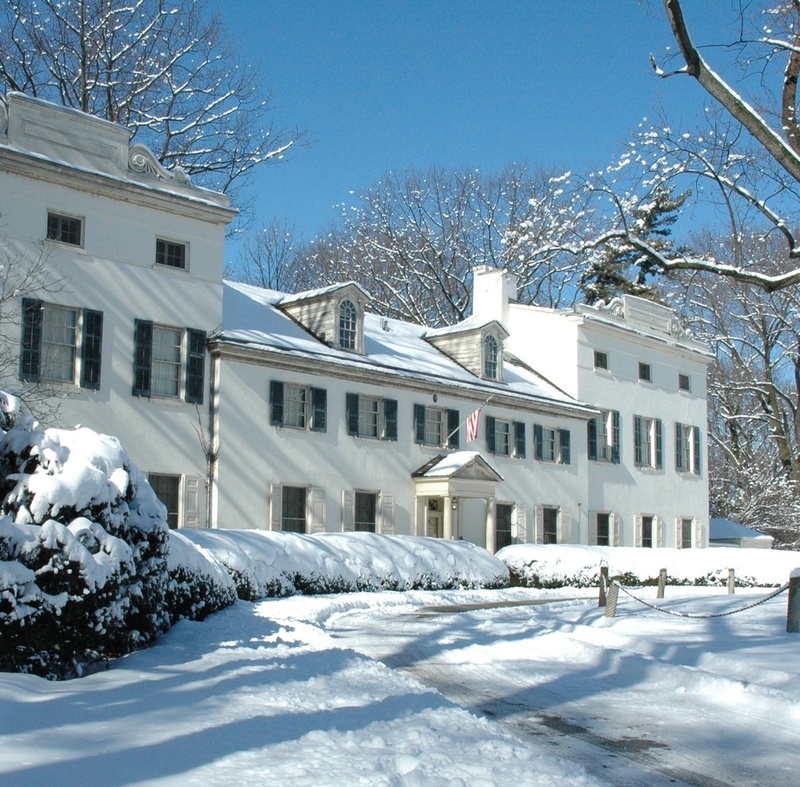 Christmas at the fairmount Park historic houses 2015! Named one of the 2015 "Most Historic Holiday Home Tours in America" by Architectural Digest. Each year, the Charms of Fairmount Park dress up in holiday finery for a month of joyful celebration. Especially for 2015, the historic houses will delight visitors with festive adornments and stunning interiors inspired by the whimsical Christmas carol "The Twelve Days of Christmas", decorated by local interior designers and garden clubs. Greeters at each house warmly welcome guests to see the holiday décor. This is a perfect way to share the season with friends and family. There are plenty of ways to visit these beautiful homes this holiday season. If you have any specific questions about our holiday programming, please contact our Holiday Hotline at 215-685-0274. Admission: $5 per person per house; children 12 and under free. All are welcome to drop in and delight in each house’s festive decorations inspired by the whimsical Christmas carol “The Twelve Days of Christmas”. Reservations not required. No advance ticket sales required. Limited free parking available at all houses. CLICK HERE FOR DIRECTIONS. LIMITED FREE PARKING IS AVAILABLE AT EACH HOUSE. We are excited to announce that Philadelphia visitors and residents can take the clean, convenient and comfortable PHLASH service to see the Historic Houses on a dedicated Holiday Houses Loop. Visit phlashphilly.com for more details! Park Charms has teamed up with our friends from PHLASH to extend our Holiday Pass offer! Visit PHLASH Philly for more details. Tickets: $45 per person and covers transportation, admission at each house, and refreshments. 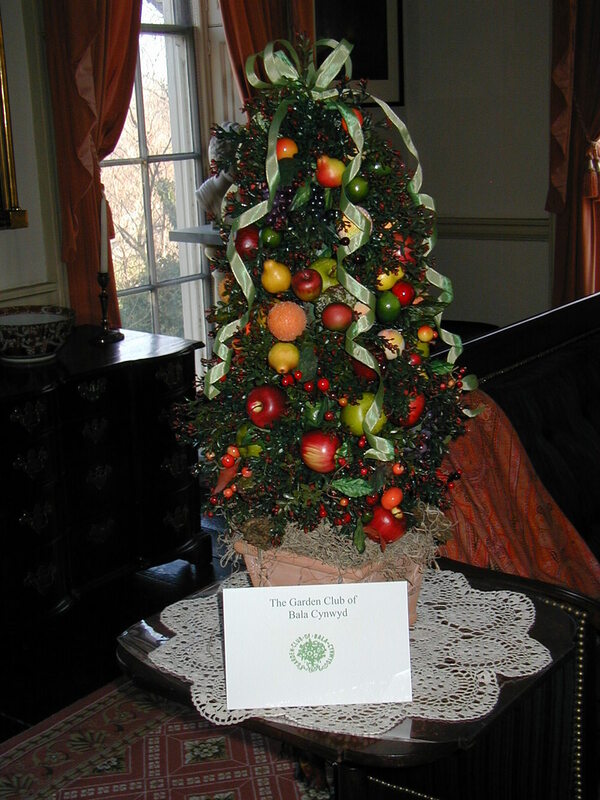 Tour festively decorated Laurel Hill Mansion, Woodford Mansion, and Historic Strawberry Mansion on this exclusive tour lit softly by candlelight, evoking the past in a unique and lovely way. Friendly and knowledgeable guides share the rich and interesting history of Fairmount Park and the life of the residents who called each of these magnificent buildings home. 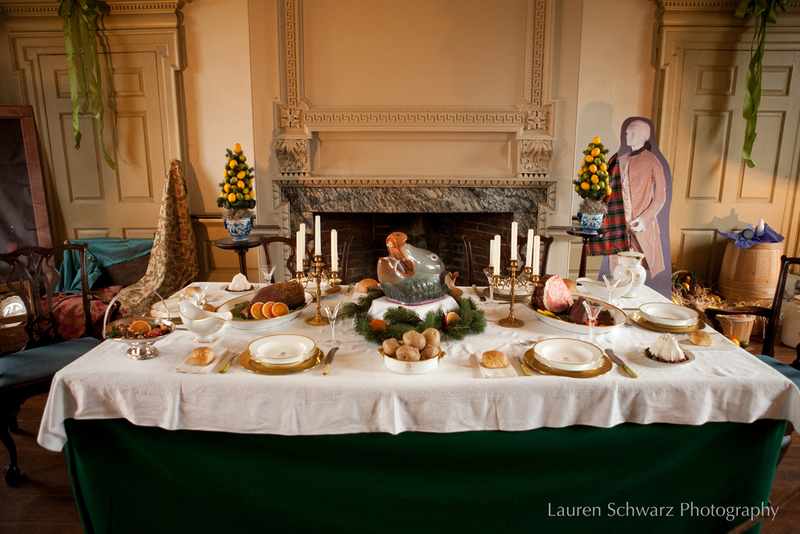 The tour concludes with assorted hors d’oeuvres and desserts at Historic Strawberry Mansion. Tickets: $5 per person per house, Trolley FREE! Hop on our free Holly Trolley for a fun-filled day at the houses. Each site will be dressed in it’s holiday finest and will feature special events including carolers, glass blowing, ice-carving, musical performances, seasonal refreshments, and more! We are happy to welcome Shofuso and Ormiston as additional stops on Holly Trolley Day 2015! Trolleys run between sites every 10-15 minutes allowing visitors to take in all the events at their own pace and enjoy Fairmount Park at its most festive. Trolley pick-ups available at all 8 houses as well as Lloyd Hall (1 Boathouse Row) and the Horticulture Center. Join characters from A Christmas Carol as they guide visitors through Mount Pleasant, Cedar Grove and Lemon Hill in this playful version of the classic Christmas story. Sponsored by the Philadelphia Museum of Art. Trolleys run every 30 minutes starting at 5:30pm. Last trolley departs at 7:30pm. Tour length: 90 minutes. Tickets: $44, $35 for Philadelphia Museum of Art Members. Ticket price includes transportation and admission to the sites. Reservations: 215-235-7469 or online on the Philadelphia Museum of Art website. Be part of a cherished Philadelphia tradition by touring the Fairmount Park historic houses exquisitely decorated for the holidays. Hear from knowledgeable and engaging guides as they lead you to three historic houses and share the rich history of Fairmount Park. Sponsored by the Philadelphia Museum of Art. Tickets: $38, $30 for Philadelphia Museum of Art Members.Ticket price includes transportation and admission to the sites. Groups of 15 or more who would like to provide their own bus transportation can reserve Philadelphia Museum of Art trained step-on guides. Cedar Grove, Mount Pleasant and Woodford will be open to groups through December 29. Erected byShofuso is happy to announce their second annual Holiday House hours! Shofuso will be decorated with traditional winter symbols including kadomatsu, straw and paper ornaments, and a kagami mochi 鏡餅 (mirror rice cake), for Japanese New Year 正月 (oshōgatsu). Borrow our warm slippers and tour the traditional-style Japanese house while sipping warm green tea, or visit the nationally-ranked garden, weather permitting, and experience a Japanese New Year at Shofuso. For more information, visit japanesehouse.org. Erected by Edward Burd in 1798, Ormiston Mansion is a well preserved two-and-a-half story, late Georgian House built of red brick on a central-hall plan. Early interior features such as fireplaces, moldings, and a Scottish bake oven have survived. For more information, visit ormistonrhs.org.